I didnt take many pictures in this area because my camera was suddenly error =( There was a complete product display and make over session in this area. We could try their make up & skin care products here. A long table display, we can try ANYTHING in here. 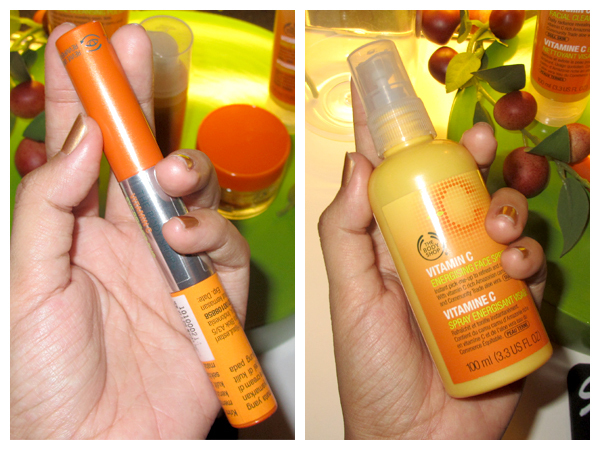 Left: Vitamin C Eye Reviver Duo (IDR 229.000), Right: Vitamin C Energizing Face Spritz (IDR 139.000). 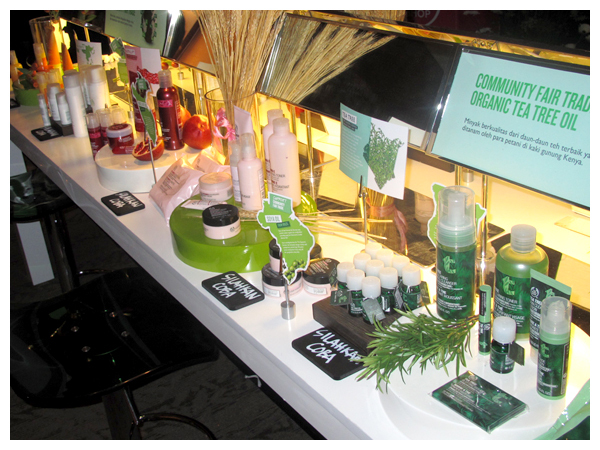 The Body Shop Vitamin C line is good for oily skin. I was interested to join their makeover session, but it was full.. so I moved to the next area..
My camera was still error until totally off. 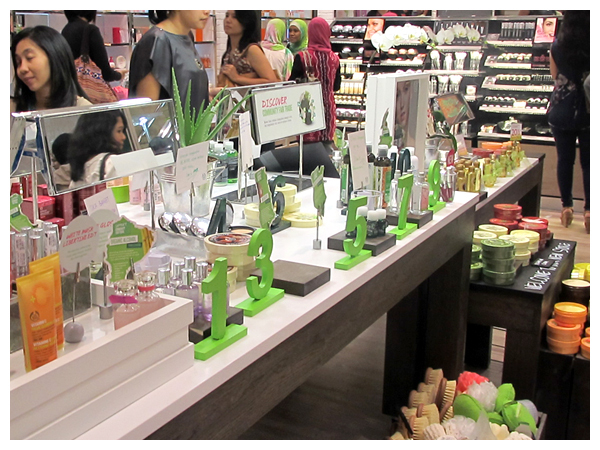 In this area we could try all of TBS products that related to our body: body butter, body lotion, shower gel, fragrances, etc.. We can also get a hand treatment. There was a Photo Booth also, but I didnt took my picture there because I was too busy with my error camera.. XD And when my camera was fine again, we already had to move to their new store at different level. 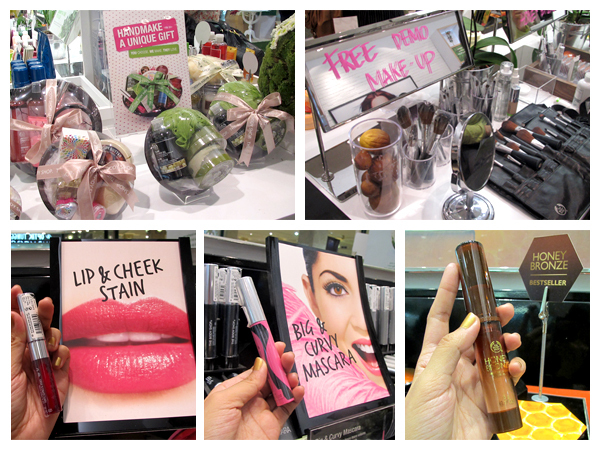 Hiks..
Left: Chocomania line, looks yummy! Right: White musk line, everybody's favorite line I guess. 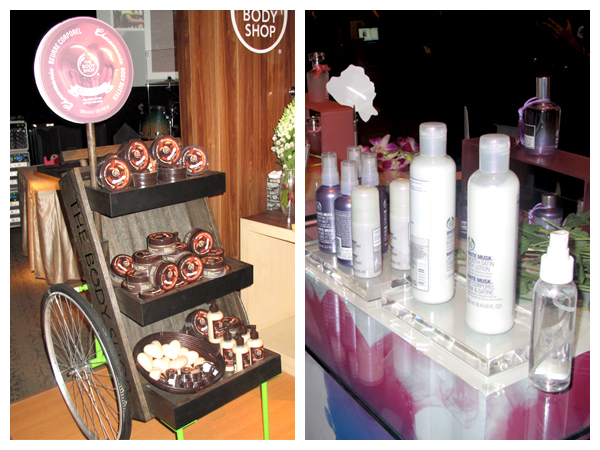 At first the body shop team gave a little presentation about their company and their CSR. 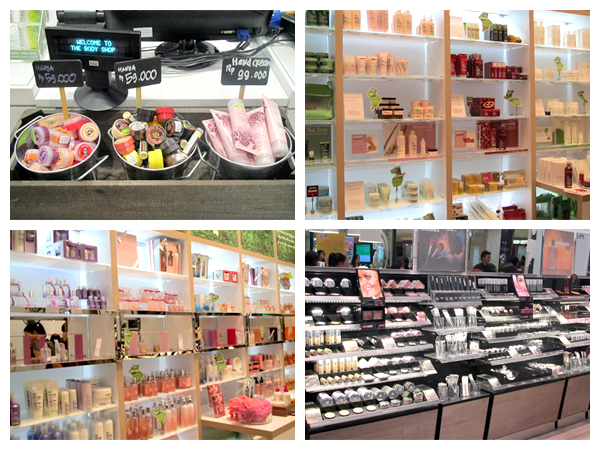 Then we are welcome to explore the store, which has a new concept: earth-friendly! 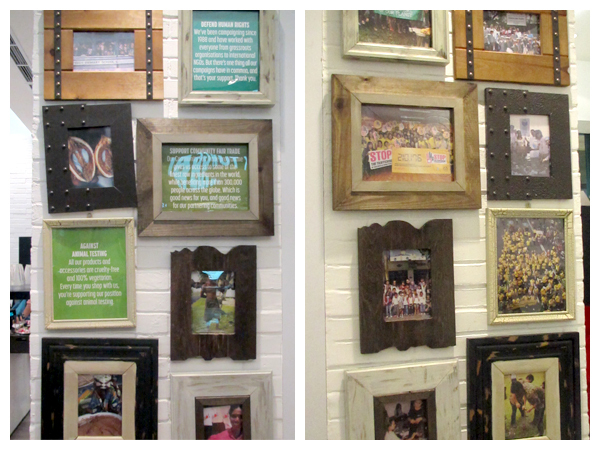 They use certified wood, and also energy-saving LED lights. 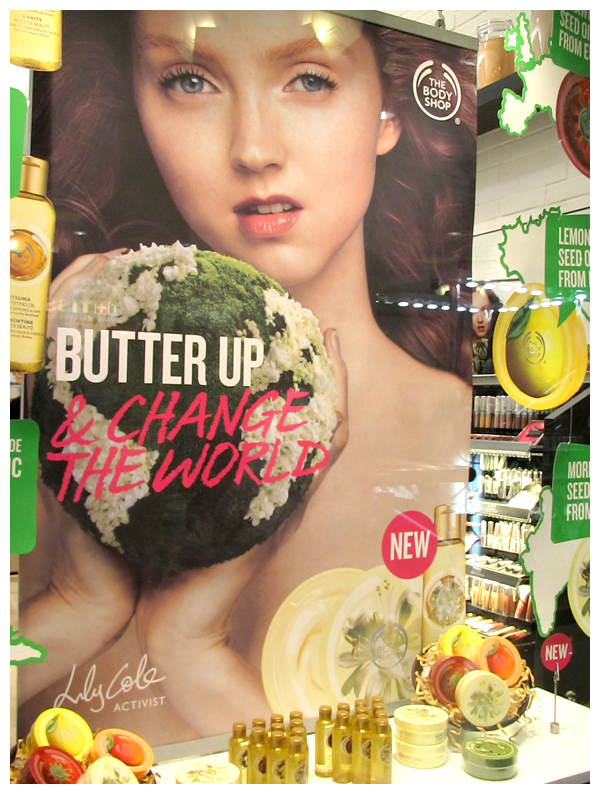 TBS new store window display with Lily Cole banner & their new products. Lily Cole large picture on cashier wall. Beautiful! Their top 10 products on the front table. What a nice new concept! I'm The Body Shop user (and member), and so proud when I know about this new concept: by using their skin care and cosmetics we can Look Good, by using their body care and fragrances we can Feel Good, and by joining one of their campaign we can Do Good for others. 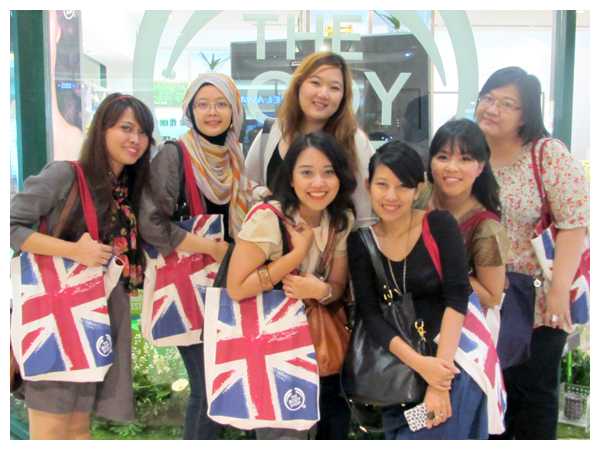 Anyway.. Congratulation and thanks a lot The Body Shop!